If there is any need for professional help, then Resume writing company consultation is always necessary, the workstation is basically on a wide geographical area as most of them work virtually. Search up on the web browser like Google with keywords like for example with the specializations and beside it other requirements adding to intricate expertise on that field; it may not matter whether relating to certain specializations is always necessary. But searching above, filtering makes it easier to sort out any difficulties. It is not obligatory that the writer may have only one dedicated field, good editing or rewriting can be versatile, only the search filtering can narrow it down. It is quite logical that anyone can write, and anyone can type up a work field history within a short span of time, but it needs more than that. A marketable CV requires onus and professional hands to deal with, understanding procedures of hiring via strategically placed resumes. 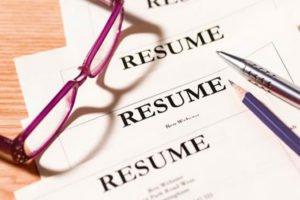 Since everything requires experience, a person who will write your CV also requires experience with further proof in companies they have worked for or the people they have worked for. A powerful HR presence is always needed along with social media knowledge to constantly spread your qualifications and requisites which attract the proper crowd. Properly compiling information is an essential procedure Resume services use various methods of handling and collecting information. It can be via cellphone or the internet or just through a simple email having useful attachments relating to educational qualifications. Multiple layered revisions add quality and enhancement for others to understand, this may or may not be essential to them, but it is obviously important to you because there is always a motive to clear out any doubts.